Hollywood movie mogul Harvey Weinstein will be hosting a star-studded fundraiser for Hillary Clinton on Monday night in New York City. The Democratic donor, who owns the Hamptons house next door to the $50,000-a-week vacation home the Clintons rented last summer, has already maxed out to Hillary Clinton's presidential campaign and contributed up to $250,000 to the Clinton Foundation. His latest favor for his Hamptons pal will be hosting the likes of Jennifer Lopez, Sarah Jessica Parker, Matthew Broderick, and climate change hero Leonardo DiCaprio at his Manhattan home for a fundraiser benefitting the Hillary Victory Fund, according to the New York Post. This is the second fundraiser Weinstein has held for Clinton this election. In October, Weinstein co-hosted a fundraiser with fashion designer Anna Wintour where attendees could get a picture with Clinton in exchange for a $2,700 donation. Weinstein invited controversy last year after he was accused by a woman of groping her in his New York City office. The woman, a 22-year-old Italian model, said that Weinstein asked if her breasts were real and then grabbed them. He continued to touch her breasts even after being told to stop, said the model. 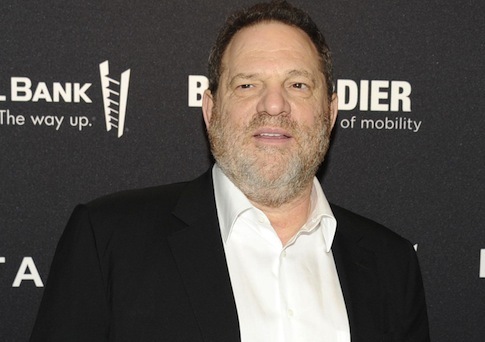 The model immediately called the police and provided investigators with a recording of Weinstein acknowledging that the incident did in fact happen. The district attorney’s office, however, said that the "available evidence" did not warrant a criminal charge. The New York Times wrote that the groping allegations "cast a shadow over his image as a socially liberal business executive with ties to prominent Democratic politicians such as President Obama, former President Bill Clinton, and Hillary Rodham Clinton." Weinstein, also one of the biggest fundraisers for President Obama, was criticized when his company attempted to auction off an internship for $50,000. This entry was posted in Politics and tagged Democratic Donors, Harvey Weinstein, Hillary Clinton. Bookmark the permalink.